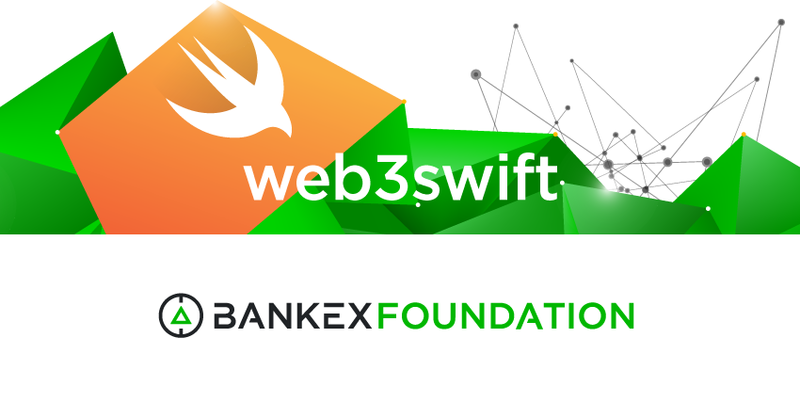 Web3swift requires Swift 4.2 and deploys to macOS 10.10, iOS 9, watchOS 2 and tvOS 9 and linux. Don't forget to set the iOS version in a Podfile, otherwise you get an error if the deployment target is less than the latest SDK. Hi. We spend a lot of time working on documentation. If you have some questions after reading it just open an issue or ask in our discord channel. We would be happy to help you. Most of the classes are documented and have some examples on how to use it. We would appreciate it if you translate our documentation into another language, and will be happy to provide you with all the necessary information on how to do this. We will compensate you for translations that will be included in the master branch. For the latest version, please check develop branch. Changes made to this branch will be merged into the master branch at some point. If you want to contribute, submit a pull request against a development develop branch.